Twenty years ago, a secret program posing as a fertility clinic for CIA agents was actually conducting genetic experiments. Ties to that program still exist and are slowly unearthed as The Hypnotist starts killing geneticists in Verona, Italy. The victims all appear as if they had been roasted alive, though The Hypnotist never touches them and only leaves video behind. Livio Marchioni is at his wit's end, particularly when the new coroner is a target, and accepts the help of Captain Victor Miller of Interpol. It's soon apparent that Miller has an agenda of his own, Eoand is fully aware of the prior CIA program. While this is Diane May's debut novel, it very much carries the feel of history and weight in all of the characters. There are references to prior work that Marchioni and Miller had done together, the different agencies that they work for, and the people in their lives feel fully realized. Maya Blake, one of the "CIA kids" that is drawn into this messy story of an evolutionary virus that was developed and set to be dispersed across the globe, is very relatable even with her somewhat extraordinary abilities. It's less outlandish than The Hypnotist's abilities, but even that is described as realistically as possible. There are several twists and turns throughout the novel. Some are predictable; even before it's stated, obviously Abby is the next target for the Hypnotist or that Maya bumped into and kissed her best friend's new mysterious boyfriend. There are other twists that aren't as easily predicted from the very beginning and very enjoyable to read. The tension is consistently kept up throughout the novel, even with the different plot threads woven together. If there are more novels with these characters, I would love to see what happens next. 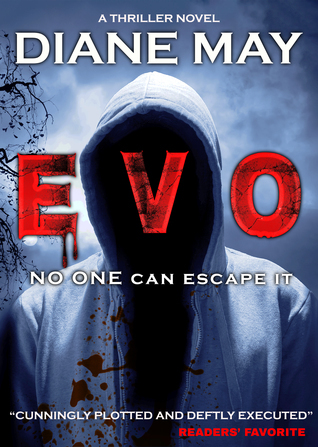 Thank you MK French and Donna for this amazing review of Evo!